Ark: Survival Evolved established a brand-new gameplay style in video game industry since 2015, when the beta version just released for minor pre-order gamers. There was a beta version published in 2015, and after 2 years test the game finally come to us on all mainstream consoles. Now the Ark: Survival Evolved is one of the top-selling video game on Steam. We 5mmo.com have sufficient stock for Ark: Survival Evolved Season Pass for all gamers around the world. Without Ark Season Pass, you cannot experience the full version of the game. Different from role-playing games, Ark emphases more on single player game mode, the aim of the game is to live in an isolated island and create tools to resist attack from wilds. No matter which platform you are playing on, you can enjoy our Cheap Ark: Survival Evolved Account without any worries in delivery and payment. Ark Season Pass provide more options for you to play the game, and numerous new features. Steam is the best platform for Ark gamers to land on. We always focus on providing best service and cheapest price for Ark: Survival Evolved Account for sale for customers, and we are the top rated site for Ark gamers to buy in-game items and substances. 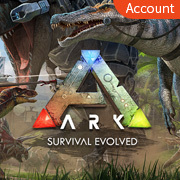 Staple products on our site are: Ark: Survival Evolved Season Pass Account and Ark Account. We also update Ark: Survival Evolved Guides and News every week to help our gamers master basic and advanced gameplay. You can keep following us 5mmo.com to acquire most timely and useful Ark Guide and patch notes, which will help you play better in the adventure video game. 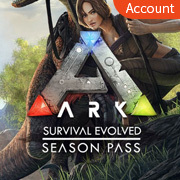 Ark Account and Season Pass are full in stock and sell with huge discount, aside from the top-selling Steam Season Pass. Once we received your order, we will immediately transact it for you and we promise all order will be finished within 30mins. If you have good suggestions for our Ark Accounts Products and our professional Ark Account store.